Talia was not my bride this day, but she was a few years back. 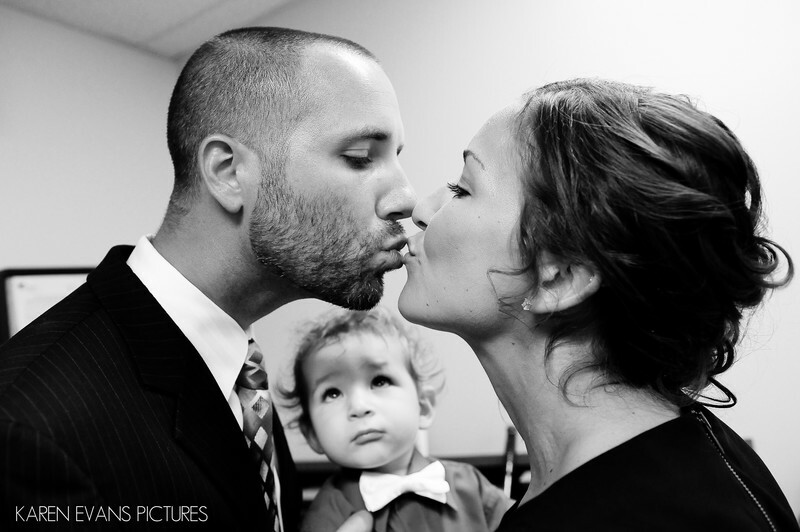 This picture was made at her sister Jenna's wedding, but this is Talia and her husband sharing a pre-wedding kiss while their son peers up at them. He's so cute! !Keywords: st mathias (3).